All Inclusive Fun in the Sun is a fully customizable all-inclusive vacation based out of the five star Westin Playa Conchal Resort at beautiful Conchal Beach. You'll have plenty of time to unwind on one of Costa Rica's most beautiful beaches combined with an enjoyable catamaran cruise that includes snorkeling and other water sports, plus go on an exciting canopy zipline adventure. Of course, you can substitute activities with surf lessons, mangrove kayaking, a safari boat tour, or many other options. Similar to all of our amazing vacations, this value-packed itinerary can be 100% customized to your budget and needs. Check pricing notes for details. Take Advantage of Green Season Savings of up to $1,600 per couple or even more for families! This is our most popular all-inclusive Costa Rica vacation and for good reason! You’ll be staying at a luxurious beach resort with a profusion of amenities as well as enjoying exciting adventure activities both in the jungle and out on the water, without a worry about transportation. Best of all, it can be customized to your needs! Our representative will be awaiting your arrival at Liberia International Airport. After your meet and greet, a private transfer will be provided to the Westin Playa Conchal Resort and Spa on the Pacific Ocean. 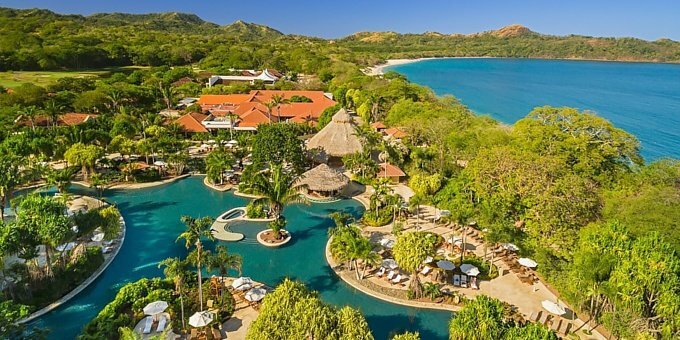 The Westin is a luxurious all-inclusive beach resort located in front of one of the best-loved beaches in Guanacaste. Your vacation includes a desirable mix of fun activities and quality beach time. You’ll enjoy three full days at the beach with a couple of organized tours taking you out on a Catamaran Cruise with Snorkeling along the beautiful Guanacaste coast plus a thrilling experience soaring over the jungle on your Canopy Zipline Adventure tour. The all-inclusive plan at the Westin resort includes select non-motorized water activities, so you can fill your beach days with plenty of fun in the sun, or just relax and chill under a shady palm tree listening to the surf. So, are you ready for a little Fun in the Sun?!?! Day 1: Welcome to Costa Rica and on to Playa Conchal! 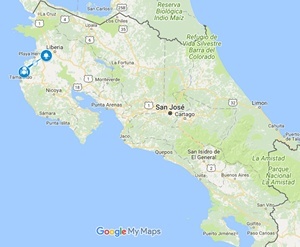 We will meet you at the Liberia International Airport and provide a private transfer to the Westin Playa Conchal Resort and Spa in Guanacaste. During your stay, you’ll enjoy all-inclusive accommodations. Enjoy the all-inclusive activities available at the Westin and some relaxing beach time. There are several national parks nearby or you can contact us to add an activity. 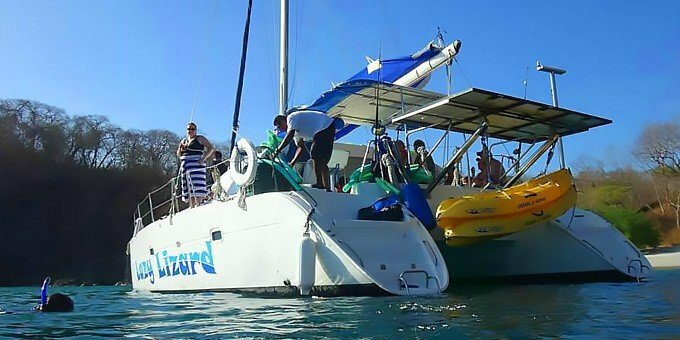 You’ll go on a fun and relaxing catamaran cruise along the Guanacaste coast. Complete with snorkeling gear and other water sports equipment, you can check out the magical underwater world, play in the water or just laze around on the boat. 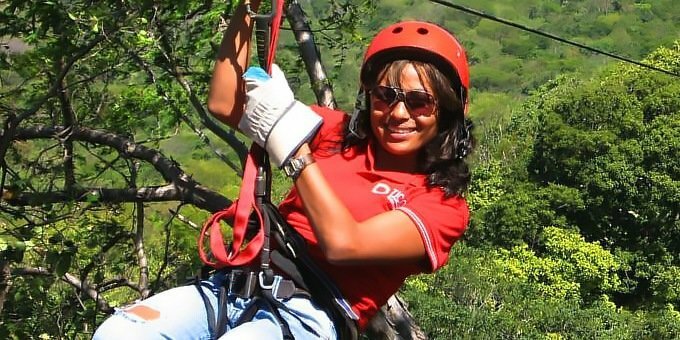 You’ll go on a thrilling high-speed canopy zipline adventure through the forest treetops. Your guides will get you hooked on flying through the air to fully appreciate the forest canopy. We’ll provide transportation for you back to the Liberia Airport, scheduled according to your personal flight time. Low Season 2018 rates start at $1,217 USD* per person double occupancy, $1,134 USD* pp for triple occupancy, or $1,812 USD* pp for single occupancy for the lodges listed above. High season 2019 rates start at $1,785 USD* per person double occupancy, $1,677 USD* pp for triple occupancy, or $2,658 USD* pp for single occupancy for the same lodges. Low Season 2019 rates start at $1,313 USD* per person double occupancy, $1,227 USD* pp for triple occupancy, or $1,953 USD* pp for single occupancy for the same lodges.You can upgrade or downgrade hotels to match your preferences and budget.